They say that a picture says a thousand words. If that’s true, books are about to be written with all of these great photo-sharing apps coming out for our phones. I’m really big on daily photo sharing services Top 4 Photo Websites To Share One Photo Everyday Top 4 Photo Websites To Share One Photo Everyday Read More right now, especially DailyBooth and ShutterCal Document Your Life & Improve Your Photography Skills With Shuttercal Document Your Life & Improve Your Photography Skills With Shuttercal Read More , but I’m really liking these new phone apps that are coming out. Instagram Share Your Life in Photos With Instagram Share Your Life in Photos With Instagram Instagram describes itself as a "fast, beautiful and fun way to share photos with friends." After a quick download and signup, I've found it to be everything it had promised and more. Read More has become insanely popular. Now I can add Path to my ‘like’ column. This app is generating a lot of buzz because its co-founder and CEO is Dave Morin, former Senior Platform Manager at Facebook. The other founders include Dustin Mierau (co-creator of Macster) and Shawn Fanning (co-founder of Napster) and Kevin Rose (founder of Digg) is also an angel investor. Can you tell I’m excited? In this article, I’ll show you what all the hype is about. “Path is the personal network. A place to be yourself and share life with close friends and family. The personal network doesn’t replace your existing social networks – it augments them. Path allows you to capture your life’s most personal moments and share them with the 50 close friends and family in your life who matter most”. I’m glad you asked. What makes this app so attractive are its differences. You may have noticed that they refer to it as the personal network, not social. 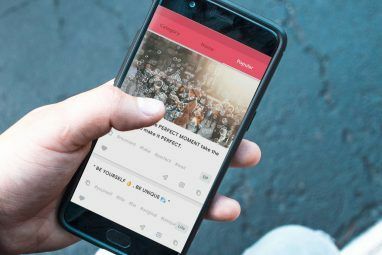 While it’s a photo sharing app, it’s designed to make you feel comfortable being yourself and sharing your life’s story with your closest connections via photos you take every day on your phone. Your personal network on Path is limited to your 50 closest friends and family, the people you can trust with any/all of your personal photos. The number 50 was chosen based on the research of Oxford Professor of Evolutionary Psychology Robin Dunbar, which provides a pretty interesting back story. With Path there is no following and no friending, only sharing. It all starts with your phone’s camera. Simply take a photo and add context around that moment by tagging people, places, and things. Tags are how you tell a story around each photo you take. Once you have your moments captured, you can share them with your personal connections. You’re always in control within your “personal” network. Here’s the cool part. For each moment that you capture and add to your Path, you will see which of your friends have seen the moment in real-time. This is called their “See” feature. The idea behind it is that understanding enables trust and storytelling amongst close friends and family. The goal is to feel like more of your close friends are seeing your life through your eyes, in your context. Due to the amount of context included in each moment on Path, you can connect with friends in interesting ways. You can even explore your friends’ moments on a map, with more visualizations to come. 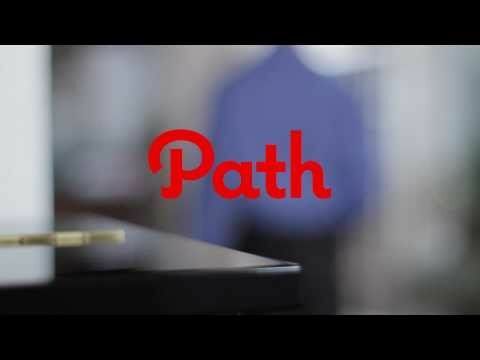 Where Can I Get Path? Right now, Path is only available for the iPhone (App store link), but they have plans to come out with releases on other major devices soon. If you head over to their signup page, you can sign up for an account, claim your username, and fill out your information so others can find you. This also enables you to receive a notification when Path is available for your phone. I think this is a prime example of a company thinking outside of the box. 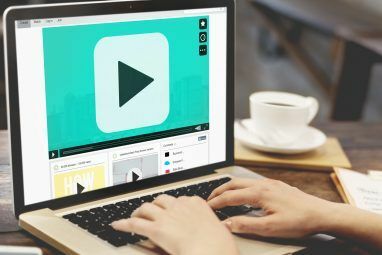 We’re seeing more and more social networks pop up that try to be like Facebook rather than working to come up with a way to be different or develop a complementary resource for users of the network. With the release of Path (and some of the other apps I’ve mentioned) it will be interesting to see where we go from here. What do you think of cell phone photo sharing? Where are we headed in this industry? Meh, who needs another social/sharing app.. This all sounds great and I really do like the concept. There is one MAJOR problem with the iPhone app though which makes this almost completely useless to most users, IMHO. You can't add photos from your camera roll. Only photos that are taken using this app can be used. That's ridiculous! 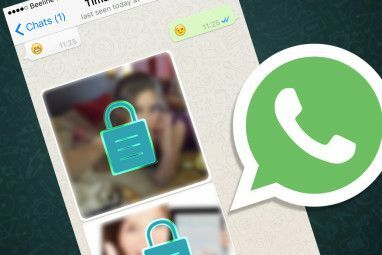 Every other iPhone app that has anything to do with photos or videos offers users the option of using photos that have already been taken (the camera roll). I'm surprised this wasn't mentioned in the post. Good catch, Don, sorry I missed that. I'd imagine that's something they would add, hopefully in the near future. I just don't get it. As long as my friends cannot reply on my photos in the same tool, it is only sending. It's a bit like showing off. Look where I am, Look what I have, Look what I want, Please add a response feature in the same tool so friends can respond and even give advise and not by sending a sms text or e-mail.